Hot spot (hot spot - hot spot) - the ability to configure the gadget as an Internet distributor. This allows you to make any gadget with the Android system analog router, which is installed indoors and connects to the wired Internet network of any provider. The main requirement for the device is the availability of a Wi-Fi module, which is not deprived of Android gadgets. Consider what it is, how it is configured and why it is needed at all. To enable the hot spot, just enter the settings of your smartphone / tablet, and find the item “Wi-Fi hotspot". Depending on the brand of the device, the name may differ. At this point you give the name of the access point (SSID) and assign a password. 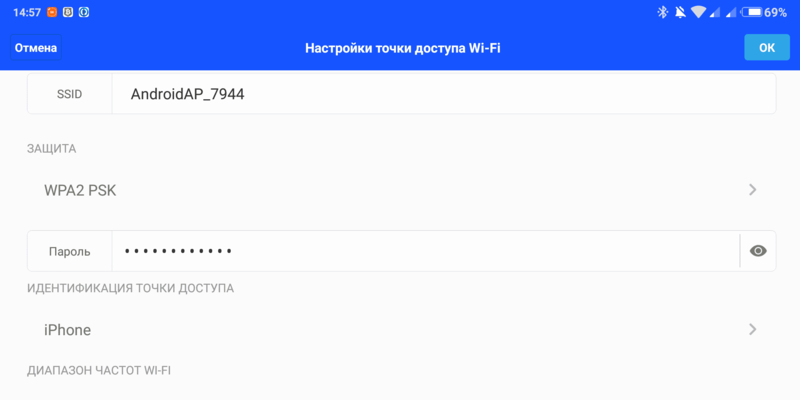 Then users can find the device, select the name of the point and enter the password set on the gadget distributor, and use the Internet if it is shared. Do not forget when the user will transfer the gadget, when the Internet distribution is enabled, it will transfer the access point that other users will see within the network. From this, the signal will change and the connected devices may lose touch if you move a long distance with the gadget. Learn more about setting a hot spot. Wi-Fi hot spot in Android is created through the operating system settings. We go first to the settings, then we look at the section "Common modem and networks". The content (name) of the item in different versions of Android may differ slightly, as well as its location in the list. Next, select "Wi-Fi hotspot". This item in most versions remains unchanged, it is easy to find. Now we set up the distribution, we create an access point to which other devices can connect, as was already said in the previous. paragraph. Pay attention to the following lines. This is a security type and password to protect. If you need to create a password-protected, secure network, select from the list of options WRA2 PSK. Below you can type a password that will serve as a key to getting Internet access on other devices. If the password is not needed, skip the protection. Do not forget to save the entered data. The Android system not only offers the WRA2 PSK, but it is this type of security that is more reliable. 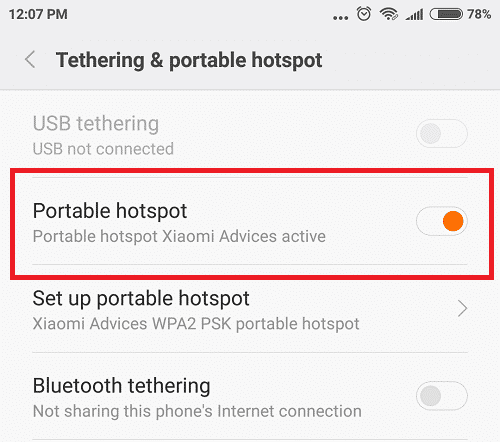 Please note that one network setting in OS Android is enough to turn the hot spot on and off, without delving into the settings. The hot-spot password does not change when it is turned on again. After the configuration is completed, move the switch to start the network to be heard. On the successful action will indicate the icon that appears at the top of the gadget. For the hot spot there are free apps. You can do without them, using the previous section of the article, but installation of additional programs is available that simplify the process of setting up and applying the function. 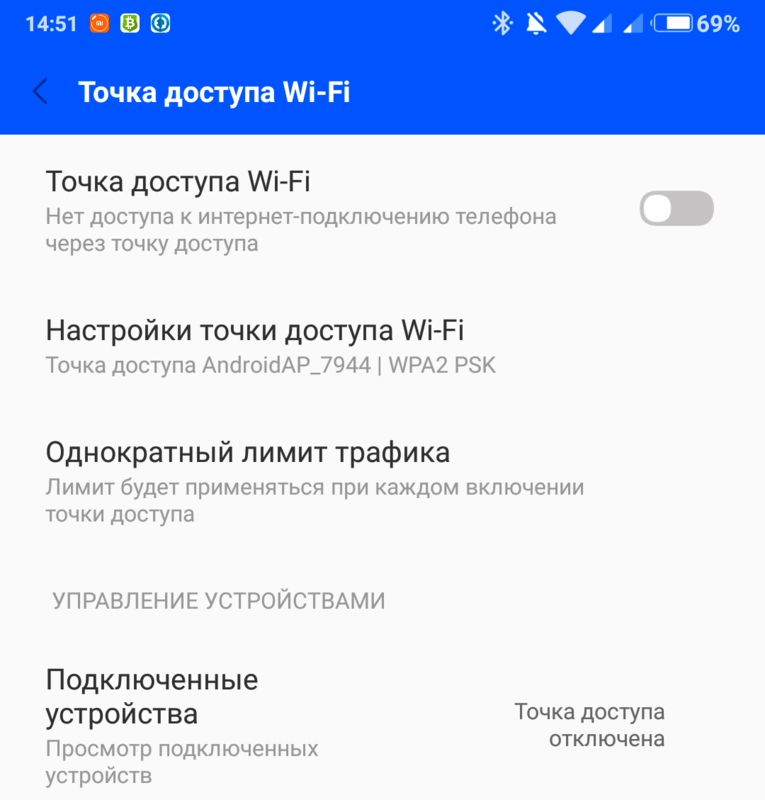 The main thing is that there is no need to free up a lot of space, the application almost does not pull the charge and does not need a powerful hardware, so it is installed on any gadget with Android OS. 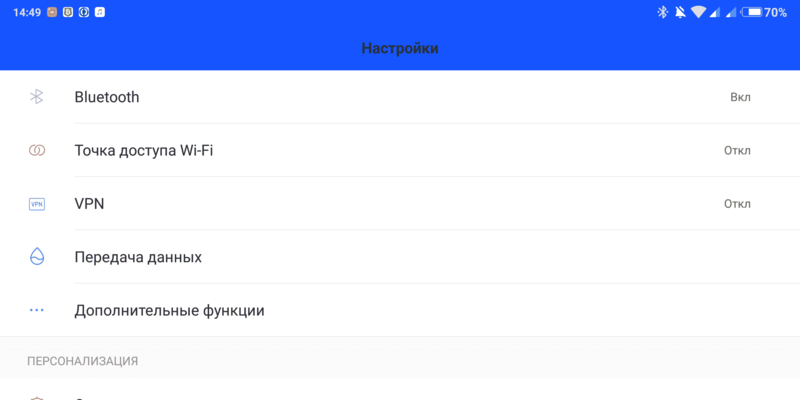 «Wi-Fi Hotspot Portable"- It has a nice interface, the main advantage of its use is the ability to launch distribution in one click on the shortcut on the desktop. «WiFi HotSpot- another application. There is a separate widget for the desktop, the collection and analysis of data transfer, shutdown on timeout. In any case, Wi-Fi hot spot at a good and stable speed runs smoothly.